The 26ft telecommunications tower would be built next to Pennan Community Hall. It is part of a £25million Scottish Government scheme aimed at improving coverage in locations with no existing 4G mobile coverage. The coastal community, famous for Local Hero, currently has no or patchy coverage. WHP Telecoms has applied for planning permission for the mast and documents from the Cheshire-based firm set out why they have chosen the community hall. The documents submitted alongside the proposals said it would provide a boost for Pennan as well as the surrounding area. John Ewen from WHP Telecoms said: “In terms of mast positioning, a very specific location is required through which the community not spot at Pennan can be covered along the coastal orientation. 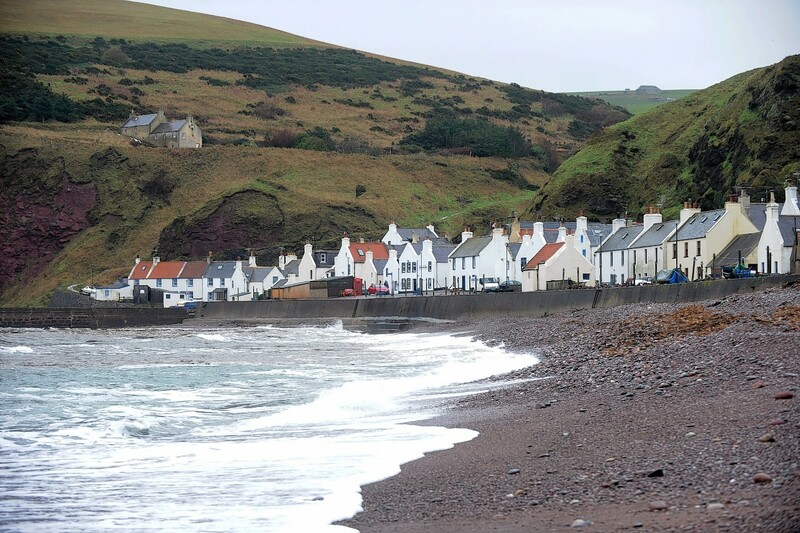 “The proposed location against the gable wall of the community hall provides as basis to extend target coverage not only to the desired not spot at Pennan village but also extends 4G mobile service coverage reach across the wider adjoining coastal waters. Connectivity secretary Fergus Ewing announced the launch of the procurement process for the Scottish 4G Infill programme at a convention in Millport last year.